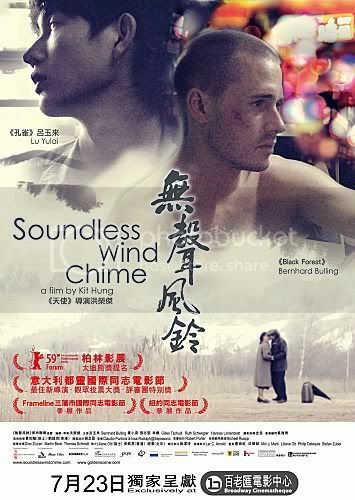 Summary: "Soundless Wind Chime" centers around a new immigrant to Hong Kong from China, Ricky, who works as a delivery boy while living with his prostitute aunt. He is pickpocketed by a Swiss thief, Pascal who is in an abusive relationship with his con artist boyfriend. Deciding to leave him, Pascal has a chance encounter with Ricky and the two begin a romantic relationship. The couple struggles through good times and bad, forcing them to determine if their relationship is based on love or dependence on one another. Several years later, Ricky searches Switzerland for signs of Pascal, eventually encountering Ueli (also played by Bulling), a timid antique store owner who looks the same as Pascal, but who has a vastly different personality. As Ricky and Ueli's relationship deepens, the truth of Pascal and Ricky's relationship is unraveled as the film progresses through glimpses of the present and the past. BUY "Soundless Wind Chime" DVD with English Subtitles! can't download the part 2.
it said The file you are trying to access is temporarily unavailable. Same here ! Not able to download second part..What is the problem ? Please tell me. I am quite interested in this film. I am brazilian,I'm in love with gay asian.